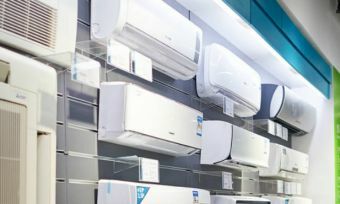 The festive season is fast approaching, and the Black Friday sales might be another reason to celebrate. The ever-popular KitchenAid mixers are almost half price, with plenty of other small appliances also on sale at big discounts – including woks, steamers and hairdryers. Our Black Friday round-up features plenty of products you’ll want in your Christmas stocking. But before you get your wallet out and ready, make sure to check out other websites for similar products and sales – you never know how much more you might save. From pasta to burgers and ice cream, mix things up at home with the KitchenAid Stand Mixer. It includes a 4.7L glass mixing bowl, and has a tilt-head design so you can easily add ingredients. The highly in-demand appliance features ten different speeds designed to mix, knead and whip ingredients. Whip your festive dishes into shape with the KSM150 Artisan Stand Mixer. The appliance is said to help you create a quick meal by ensuring the beater, dough hook or wire moves around the bowl to give good coverage. You can even transform the mixer into a range of culinary tools like a pasta maker, food grinder, vegetable slicer and sausage maker. 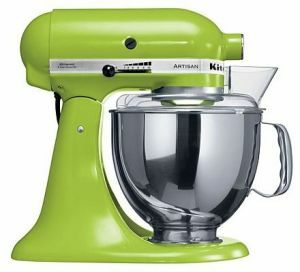 KitchenAid KSM150 Stand Mixer Onyx Black. 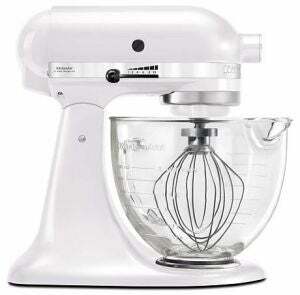 The classic design, and apparently durable build, is what KitchenAid claims makes its KSM160 Artisan Tilt-Head Stand Mixer an appliance built to last. 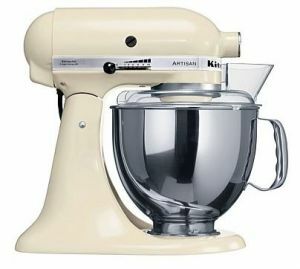 The ever-popular KitchenAid item comes with two bowls, including 4.8L and 2.8L sizes. Similar to the other brand’s models, this uses the ‘planetary’ mixing action to ensure every part of the bowl is reached. Want to get a head start on your healthy new year’s resolution? Or just want a kitchen appliance so versatile, it can create hot soup for dinner and frozen dessert for an after-meal treat? 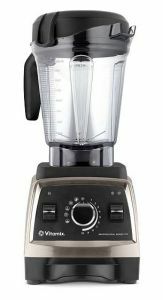 The Vitamix Professional Series 750 might be what you’re looking for this end-of-year sale season, and David Jones customers can save $600 this Black Friday. This appliance features a Quiet Motor to keep sound to a minimum, no matter how rigorously it’s working. It also comes with several accessories, including a BPA-free shatter-proof container, stainless steel blades, spill-proof lid, and an instructional DVD, as well as a cookbook for inspiration. With Black Friday sales available for a limited period, there’s not much time to toss and turn over appliances like the Sunbeam Professional Wok. The item is designed from Dupont Teflon platinum, and features a scratch guard non-stick surface – helpful for avoiding unwanted marks on this pricey product. 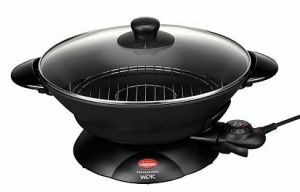 The Sunbeam Professional Wok also has a heavy-duty die-cast build, and offers 17.5L worth of space. The glass lid also contains an adjustable steam vent. Bored of snacking on celery sticks as a way to keep up a healthy lifestyle? 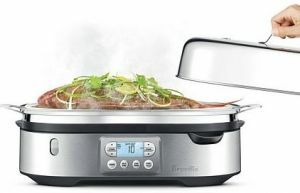 Steam it up in the kitchen with Breville’s The Steam Zone, a way to incorporate healthier habits into your daily diet. The appliance has enough space for a whole fish on the large steaming tray, but also enough room for multiple dishes due to the two different steaming baskets. In case you’re worried about overcooking your meal, the Breville unit is also said to minimise fog, so you can see clearly into the cooker. 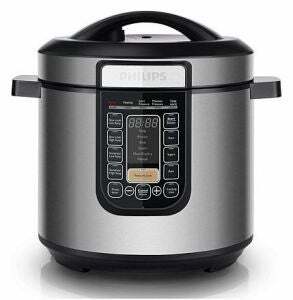 The Philips All-In-One Cooker might be the one-stop shop to simple cooking – it can cook, pressure cook, and multi-cook. The appliance is said to have a 6L capacity and comes with a cookbook, ladle, measuring cup, spatula, and plastic steam tray. With so many hair appliances available on the market, sometimes it’s hard to be impressed. 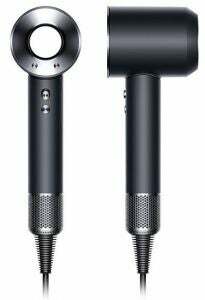 But the popular Dyson Supersonic Hair Dryer might be the product to blow you away. Dyson claims this product can protect natural shine by preventing heat damage, and it features a smoothing nozzle to dry hair gently. The styling concentrator is also said to help you focus on one section at a time, without applying hot air to other areas.